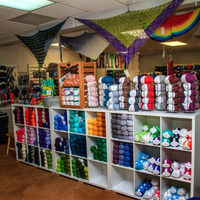 Yarnatopia is a Local Yarn Store in Oklahoma City, Oklahoma. We welcome you to visit our store or shop our online store at yarnatopia.com . 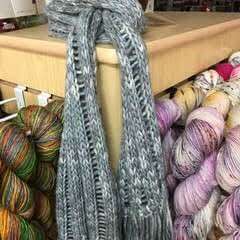 We provide a wide variety of yarns, roving, needles, and notions to fill the needs of knitters, crocheters, spinners, and weavers. New customers often say they have walked into heaven when they step through the door the first time. We hope you feel that way too.